Have an awesome idea of a startup mobile app? Well, that’s a great thought!! But what next?? Do you have any plans of how you will materialize it and get your desired app running for real?? 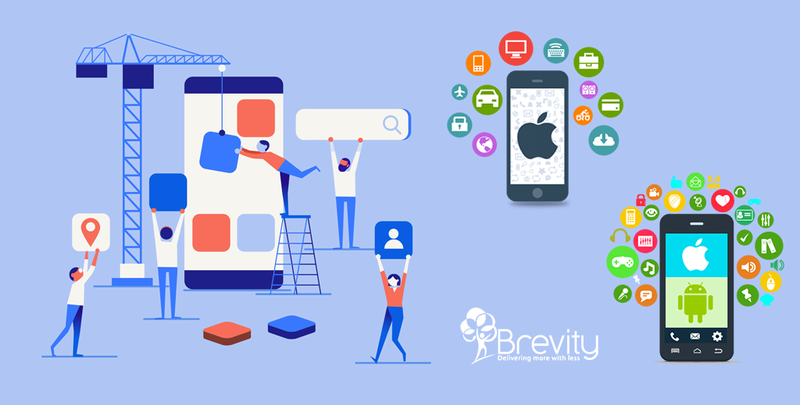 If you haven’t thought of that yet then this simple, quick guide might help you to understand what a complete mobile app development process looks like and the key factors you need to take care of to get your mobile app ready to go! Coming up with an idea is easy but the later part of figuring out what to do next is tough. By the end of this article, you’ll have a clear list of the parameters you need to take into consideration. Although you might be excited to get your business application running, you also need to understand that it involves risks too. This does not mean that we are scaring you, but we just need you to be committed for your app idea. Before starting with any rushy processes, you need to evaluate the risks associated with it otherwise you might end up losing thousands of money and many priceless hours. How much time are you ready to commit? Create a document outlining the specifications you want in your app. However, listing all the features at the beginning is impossible. But you can enlist the basic and main features of the application and gradually add others as the development process progresses. Do some basic research about your target audience and find out what problem does your mobile application solves? b) Find out apps similar to your app idea and analyze them. Note down the things that should be added, changed or removed. These 2 points will help you to prepare your “Basic Features list”. Once you are done with this, pen down your imagination of the application in whatever form you like. You can either draw sketches of the screen or list down the links of the other apps and mention design, visual effects, color schemes etc. you liked in them and want it in your app too. Along with this, also choose the platform you want your app to be developed on – Android, iOS or Windows. Get an initial quote from the freelancer mobile app developer or the mobile app development company. They will give you a rough estimation of the money and time it will take. This can help you plan your budget and will give you a timeline of the app development process. Once you have selected the app development company for your app, clarify the specifications again. Obviously, the initial estimation given by the company will change as the development process will move forward. Once everything is finalized a software agreement needs to be signed by both the parties so that the development process can begin. Wireframing is an important stage of the app development process. A wireframe gives a rough idea of how the final product will look and function. It gives an overview of the layout elements and how the users will interact with the app. After finalizing the wireframe design, its time to get the actual design of your application. Once the design has been approved, the development process can be started. It is good practice of testing the app simultaneously at every step of the development. Finally, it’s time to give your application an attractive and catchy name. Describe it beautifully too. Brand your app accordingly and then begin with your marketing campaign. After the application has been launched, it will need updates both in terms of design and development to let people get the new interactive design, color theme or any additional functionality which can increase its success. Make sure these updates are implemented and reached to the potential users in a timely manner. Ensure to discuss the terms related to updates and maintenance with the app development company at the beginning only and don’t forget to add them in the software agreement too. Moreover, provide timely support to your users in case of any queries. We are now sure that you are clear about how to get your mobile application rolling. If you have any such idea, contact us and we will be happy to convert your idea into reality. Get your quote now!